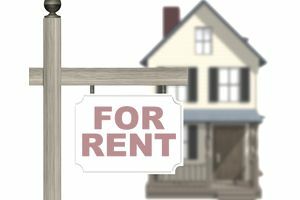 Failure to anticipate the loss of rental revenue due to vacant units and non-payment of rent will lead to lost profitability in your clients' income-producing real estate investments. In helping clients to determine the suitability of a purchase, be sure that their due diligence includes an estimate of vacancy and credit loss. You can be sure that most lenders will take this into account also. Determine an expected percentage of loss due to vacancy and non-payment by checking that of comparable properties and the recent loss experienced by the subject property. Last year's vacancy and credit loss from the subject property may have been 3% of net operating income. Other comparable properties experienced an average of 4%. Choose a value in the mix, let's say 3.6%. Calculate the expected monetary loss for next year due to vacancy and credit losses: $46,200 (net operating income) X .036 (3.6% loss estimate) = $1,663.20. Market for the right tenants: If you're advertising low rent, and then you raise the rent, you're going to get some fast vacancies. You may want to advertise a special to get a good tenant into a unit, but when the lease is up they may expect another concession. Keep a nice property and market that fact: Keep up your units, make repairs promptly, and make sure your tenants have a nice place to live. They're more likely to renew their lease if they're happy with the property. Maintain excellent tenant service and relations: Even if something breaks, a tenant is likely to have a good attitude about it if they report it and you promptly take care of it. Make it easy for them to tell you about problems, and then happily take care of them. Incentive tenants to renew their lease: Calculate what it's going to cost you to clean, repaint and prepare a unit for a new tenant, and then add in marketing and application/interview expense. If a tenant is a good one and pays on time, offer them some incentive that's equal to what you would spend if they left and you just may keep them. Do accurate and comprehensive walkthroughs: When a tenant is moving in, have a detailed form and take photos of the condition of the unit. When they move out, do the same thing. Have a clear definition of normal "wear and tear" in the lease, and take any damages above that level out of their damage deposit. This is all about prevention, as you can't strong-arm someone into paying rent if they don't have it or don't want to pay it. The fact is that in most cases a tenant who is a risk for non-payment will have some past history of non-payment or credit problems. Once you have what appears to be a viable tenant candidate, and possibly they've paid a non-refundable application fee, you pay for a credit and background check. This should give you a warning of high-risk tenants who have a risky payment history.